Earlier this year, Watson Law and Hekkelman Advocaten decided to enter into a collaboration and vigorously face the future together. The result: a powerful combination in all legal matters involved. Together we are helping entrepreneurs start up their businesses, expanding those businesses and/or discontinuing them in times of need. We are here to solve daily legal difficulties with respect to labor law, privacy and real estate in a more efficient way. Also, we will be assisting in blockchain related matters such as ICOs, not just from a financial perspective, but also legally. (Local) governments and municipalities are also served with counsel and guidance in all sorts of administrative and practical matters. Watson Law and Hekkelman Advocaten have decided to combine forces and offer each other and more importantly the clients their strengths. By combining knowledge, skills and (organizational) strengths of both firms, the differing interests of clients can more easily be represented with even more legal, notarial, financial and fiscal expertise from our offices in Noord-Brabant and Gelderland. Hekkelman Advocaten, with over 80 employees, 43 of whom are practicing lawyers, is a highly knowledgeable and deeply committed legal partner for (semi-)governments and companies. Complementing this stature, Watson Law is an expert in (more) specific and complex legal issues, particularly in the areas of corporate law, insolvency law, blockchain and corporate litigation. The joining of forces will offer both Watson Law and Hekkelman Advocaten a sound and fructuous basis to evolve and grow together but also a means to respond to the ever-changing demands of the market and therefore of our clients. This is why Watson Law and Hekkelman Advocaten will together face the future vigorously. 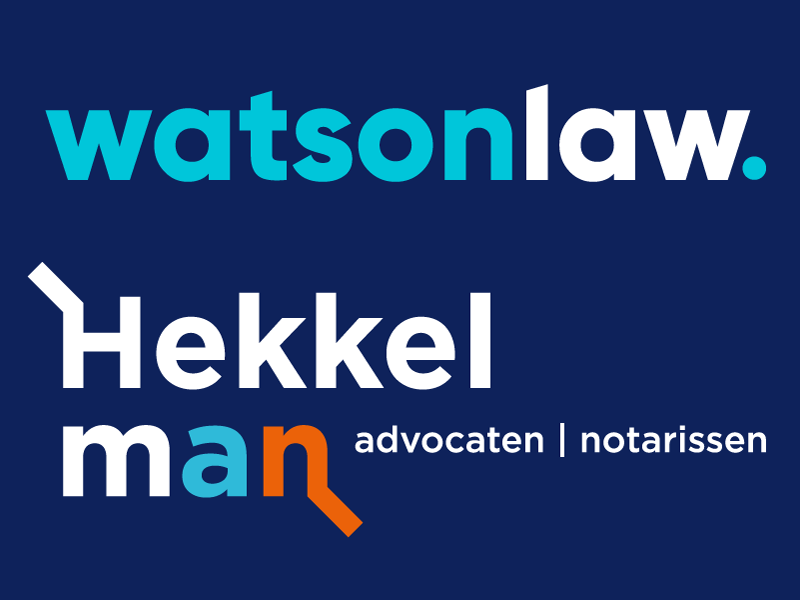 Keen to know more about how Watson Law and Hekkelman Advocaten can serve you and your business? Please do not hesitate to contact us. The (undisclosed) pledged claim, how was it again?